Its Lothians and Borders region has become one of the first to launch the campaign with the backing of local police. The area, which includes farmland close to Edinburgh, is popular with dog walkers, and has become notorious for the frequency of attacks on sheep in particular. NFUS’s regional manager Lindsay Brown recently (March 30) met Police Scotland representatives at Flotterston Farm, Penicuik, at the bottom of the Pentland Hills, to launch the initiative. The team spoke to local dog walkers, encouraging them to keep their dogs on a lead on farmland and pick up after their pets. Further local events are planned across the region in the coming months to educate dog walkers about their responsibilities when walking on or near farmland, as well as to distribute publicity material available to local businesses and farms to raise awareness of the national campaign. 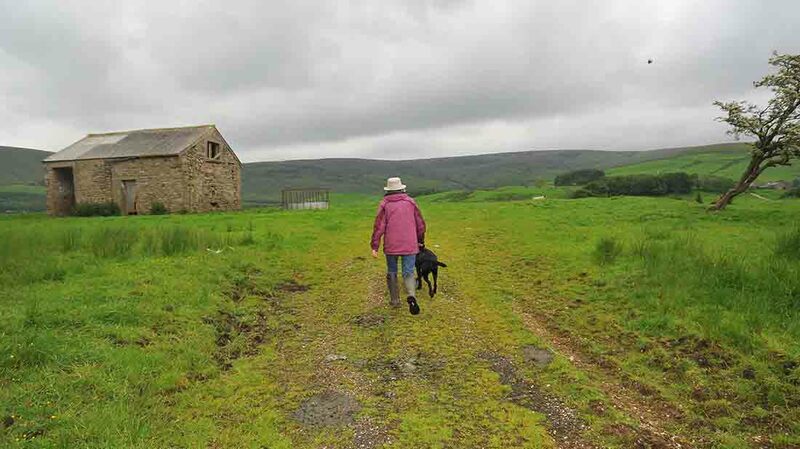 In early December, NFUS surveyed members about the issues they have with irresponsible access, either through livestock worrying by dogs, or the impacts of owners failing to pick up after their pets on or near farmland. The survey had more than 340 responses, which showed that 72 per cent of respondents had an issue with livestock worrying on their land and 100 per cent said they had problems with dog fouling on their land. This included plastic bag pollution as well as instances where livestock have contracted diseases from eating dog faeces and plastic bags. Regional manager Lindsay Brown said: “Many people underestimate the damage dogs can do. “Attacks on livestock are happening all too often and we need the support of local dog owners to help prevent this. Control your pet - keep dogs on a lead around livestock. Know the steps to take if things do not go to plan. Cattle can charge and dogs can escapes. Do not leave it hanging - picking up your dog’s poo is not enough, take it with you and put it in a bin, even if on the fringes of farmland. Do not just ‘flick it’ into the bushes.